I’m not a big fan of the horror genre. Too much of it is inclined toward trying to creep the reader out through gore; and honestly, as an adult, how often do you read a scene that actually frightens? 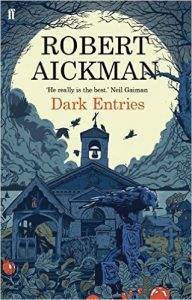 So when I recently found praise for Robert Aickman’s short stories, I was skeptical. I purchased the ebook version of his Dark Entries collection at random (He has several anthologies available) and was both delighted and astonished by his stories. In this particular volume, the story Ringing the Changes is the closest any writer has come to ever actually frightening me. The mood is one of sheer suspense. Nor would I classify his work as straight horror. True, his stories involve ghosts and the supernatural, but Aickman never considered himself a “horror writer.” Rather, he wrote strange, fantastic tales, unlike anything else. He died in 1981 and I’m really surprised I never ran into his work before now. I read this book several years ago, and as I sometimes do, put it aside for possible inclusion in this list, waiting to see if it would “call” to me. Since then, it has indeed done so, and I re-read it in 2018. The author, Rachel Maddux, is more widely known for general fiction rather than genre works, and her novel, A Walk in the Spring Rain, was made into the 1970’s Columbia Pictures movie of the same name. 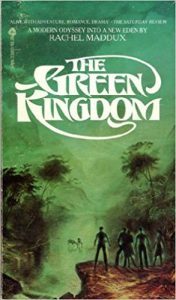 Nor does The Green Kingdom have any fantasy elements other than the Green Kingdom itself, with its exotic plants and animals, but the world-building is very well-done, and the struggles of the five characters who leave civilization to seek it makes for a compelling work. Maddux has much to say about the creative impulse and the trials of both men and women in the 1950’s. But be warned: in many ways, this is not an easy book; the characters often suffer, and through the suffering, grow and change. 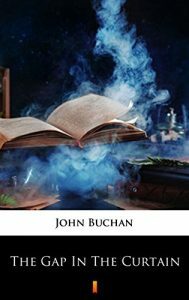 John Buchan was an author, a lawyer, an historian, and a politician (including being Governor General of Canada in the last years of his life). In his writing career he is perhaps best known for his 1915 spy-thriller, The 39 Steps, which was made into a movie by Alfred Hitchcock in 1935. His work sometimes drifted into the borders of fantasy, and The Gap in the Curtain follows a simple premise to an interesting conclusion. Led by an Einsteinian professor, five characters are able to see a copy of The London Times one year in the future. Through the eyes of the narrator, we follow the resultant reactions of each of the five. This is a fascinating novel depicting the British culture in the aftermath of World War I and our limitations in dealing with a single glimpse ahead. Followers of Downton Abbey may find this book especially interesting. If you’ve come this far, and have been counting, you probably realize that I’ve only listed about 70 books. This leaves room for more reading. If you know of a book that you feel deserves to be on the list, please let me know. I’d love to read it and include it here.